Gravity roller conveyors are the basis of most package handling installations because of simplicity, economy and negligible maintenance requirements. Wrap It Packaging supply roller conveyors in a wide range of types and sizes, to suit the individual project requirements. 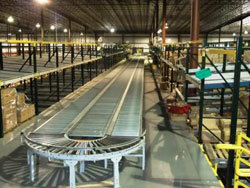 Powered roller conveyors can be used for the continuous transport of goods. The advantages of using a powered roller conveyor system are: – The throughput of the conveyed goods can be precisely determined. Accurate positioning of goods carried on the assembly line is possible. Finally the goods can be automatically diverted on or off the conveyor. 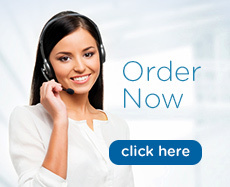 Our Sales Engineers will be glad to advise and assist you in determining your requirements. Accumulating roller conveyors are used for linking manufacturing equipment or assembly points with various assembly tasks as well as for buffer storage. 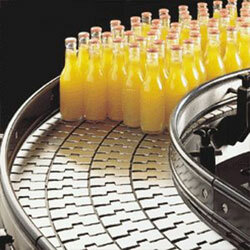 Accumulating rollers permit the conveyed goods to be accumulated along the conveyor with or without line pressure. 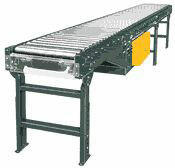 The modular belt conveyor offers a reliable versatile solution to many conveying applications. The modular belt conveyor introduces a flexible conveying solution that can, due to the nature of the belt itself, convey products through inclined as well as horizontal and helical paths. Our stainless steel conveyors are used in a wide variety of industrial applications and are particularly suited to hygiene conscious environments. Our extensive stainless conveyors range features simple easy to clean and maintain modular systems through to complete production lines. 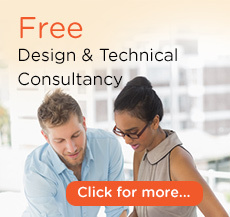 We can work with you to help you design and install the best materials handling solution to suit your business requirements. 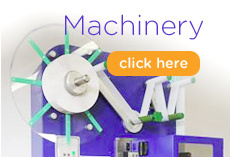 Wrap It Packaging offers custom made turn tables and rotary accumulation tables to meet the needs for in-feed and out-feed handling of bagged products, bottles, cans, jars, pharmaceutical and cosmetic products. 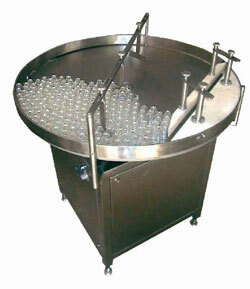 All Stainless steel or Aluminum construction. Option of fixed speed or Variable speed gear driven motors. Stainless steel outer guide rails. User friendly control panel. All adjustable parts to accommodate your requirements.